The fourth week of studying Jordanian Arabic has ended and the main task was to make the video with your monologue in Arabic. And I thought the phonetics week was hard! First of all, I’ve never recorded myself on the video in my entire life, and it was a torture even to think about it! What do you do? Where do you work/ study? Do you have a big family? Tell about your relatives. Do you have a hobby? What do you like to do in your free time? Your favourite place in the city and why. 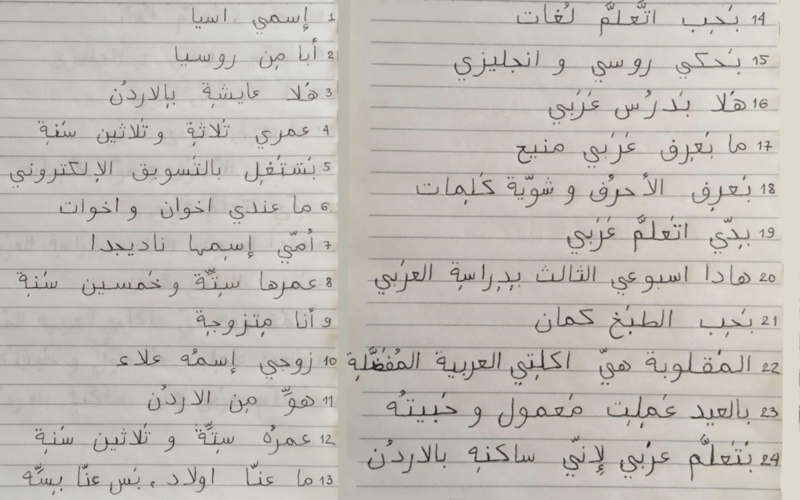 I didn’t have neither enough vocabulary nor grammar knowledge to write even the simplest phrases in Arabic, as I have just learnt how to write. That was discouraging. I had the difficulty even to say in Arabic even where I work and the rest looked unbelievably hard for me as well. For someone who is still struggling with the alphabet and learning words in Memrise, it was a challenge. I’ve decided that it might be beneficial to make a monologue and learn it, even I couldn’t understand all the grammar rules or words. And I think it was a better idea than collecting Arabic phrases for my beginner level, as I can tell now much more about myself in colloquial Arabic! I have decided that it might be beneficial to make a monologue and learn it, even I couldn’t understand all the grammar rules or words. I have placed the second part of this video in my Instagram mylifeinamman, check it up. 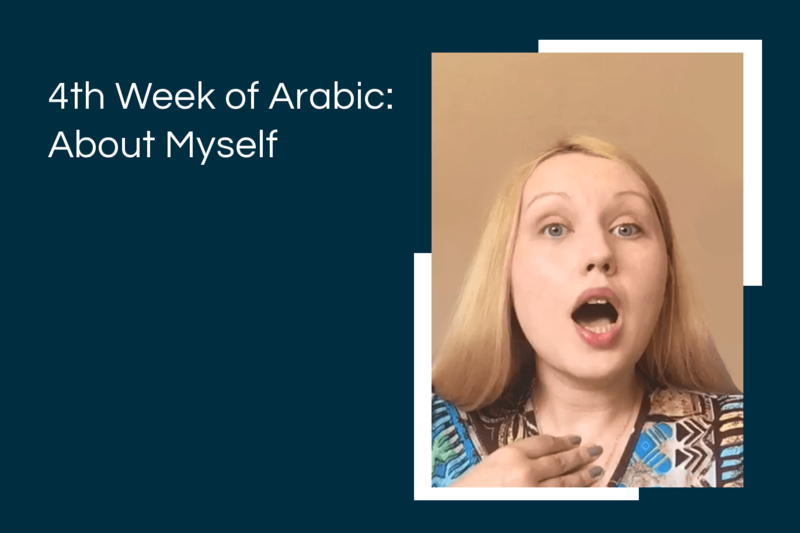 It’s a challenge – to overcome yourself and start speaking in Arabic after a few weeks of studying, especially trying to place everything you know in a monologue and say it at once, without the usual sign language, or falling into English while talking. It helps you to understand your speaking mistakes better and fixate your language skills here and now, so you can do it again after a month and see if you got any progress or not.